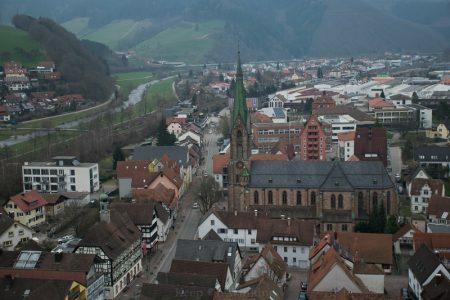 Black Forest Travelers, Trips, and Tips You Don’t want to Miss! In my Hidden Gems of the Black Forest post I shared with you our early spring/ late winter adventure. In this post I’ll share with you what else you can expect to experience in the Black Forest for the rest of the year! Plus I’ll add links to others who have enjoyed their visit! Ferienwohnungs are fun places to stay and usually accommodate 2-4 comfortably. A 5 person occupancy gets a little harder to find… and 6 is almost a rare unicorn! If you find a 5 bedroom home, take a look at the size of the beds and the floor space… and let them know up front how many are in your party so they are prepared. However be prepared to understand when the max occupancy really is 4 or 5! Sometimes pictures are misleading and the homes are smaller than they appear. While we were exploring Sankt Georgen, we came across a Tourist office with a place to rest and an extensive list of places to visit in the area. Among the variety of resources to help make your stay more enjoyable was a huge listing of holiday homes! If you are struggling to find the perfect place, you should consider contacting their Tourist Information office. 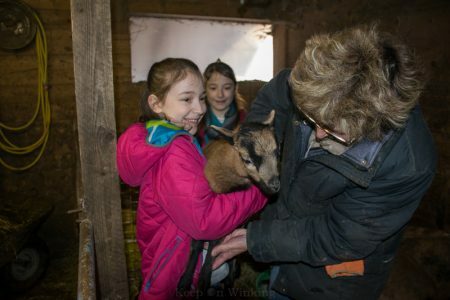 The Black Forest Farms site offers a collaboration of about 20 farmers dedicated to providing a Bed and Breakfast atmosphere. When it came to looking at all the ways we could stay in the area, the Black Forest Travel site was also helpful. Not only did it provide a list of farms, apartments, hotels, and wellness hotels that we could stay at but also camping sites! When you see a Gasthaus or Gasthof, you will discover a small hotel or family operating an inn. Most of the time they will offer a dining option or there will be a restaurant attached. Booking.com was best for this, but we were overwhelmed by the options. I recommend contacting the local tourist office for the area you plan to stay at! Gutshof Armbruster was a bit far north of where we planned to be on this last trip but we are keeping it in mind for the next one! Take a look at their lodgings and notice the spacious rooms for a family of 6! Gasthaus Staude was up the road from us but the family was on holiday until the tourist season started. The reviews for both beds and meals seemed like a popular choice so we look forward to trying it in the future. In Hidden Gems of the Black Forest you may find it helpful that I mentioned places convenient to where we were AND more importantly the ones we tried on a whim and liked. In general I found a great deal of success by looking up a city’s website and seeing what they list as their preferred gastronomie for guests. Then I check their suggestions with the Yelp reviews for those restaurants to see what the locals thought. 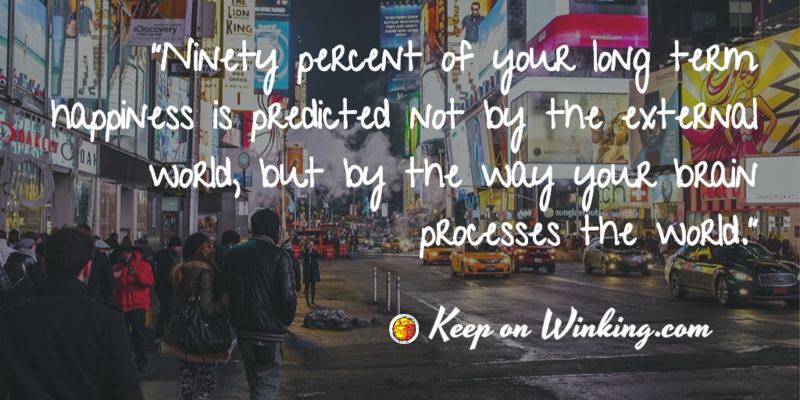 That usually helps to sift the better choices to the top… if that doesn’t help I try to find a menu and make a decision based on that. In one instance the only thing I saw was the lunch time special -it sounded so good I made the decision right away to sit everyone down for an early evening meal! To keep our adventure budget friendly we opted to shop at the local grocery store and make most of our meals at our holiday home. Luckily the southern part of the Black Forest’s Dreisamtal (Covering Freiburg and the surrounding area) site is well organized and they have a list you can search by the type of establishment you are looking for. Search for your Gastronomie! It is fairly common to bring your own vehicle and everything is accessible by car. Parking shouldn’t be a problem. However if you do decide to stay 2 days or longer you should consider taking advantage of the KONUS card. Upon arrival you will be asked to register for the Black Forest Tourism card. It entitles you to various discounts and becomes the ticket you use for FREE rides on all the buses and trains! Here are a couple of scenic trips you take advantage of; Trips by Train! Our Trip Through the Black Forest is a good place to start. In that post I include all the things we managed to do in the towns I mention below. I also share the places we enjoyed eating at. The Grube Wenzel mine was reconstructed for visitors to enjoy. Of course no strollers are allowed but otherwise all ages are invited to explore! If you decide to do the other museum in town, you can get a discount for combining tickets! The Mineralienhalde Grube Clara is actually in Wolfach-Kirnbach, you can find it at Kirnbacher Str. 3 77709 Wolfach. It is setup so you can dig for stones you can take home! As a courtesy their website list local holiday homes for you to consider. The Black Forest National Park is located here! They have a year full of events to help you explore the natural wild nature of the area. In the last post I mentioned the Rodelbahn but right next to it is the Black Forest Open Air Museum, the Vogtsbaurenhof. It is closed during the coldest parts of the year so we missed seeing the history of the farming life this time around. Like most Freilichtmuseums you can get a season pass and they do host events throughout the year, including a Christmas market! If you decide to embark on the Westweg panoramic hiking trail, Hausach is the halfway point. 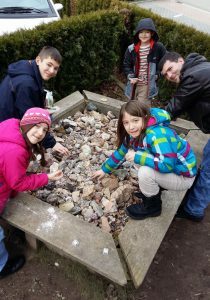 If this is the purpose for your visit you will want to take the train to Hausach,venture to the castle ruins, and locate the trail markers at the top to begin your scenic journey looking over the Kinzig River! Dorfer Erzbrüder is another Freilichtmuseum but one that is dedicated to the mining way of life in the region! The Erzpoche and the village mining church are free to visit but you must call ahead if you want to pay for a guide to lead you. The Schwarzwaldbahn Modell Bahn or the Black Forest Model Train Museum is located across the street of the Hausach train station. Apparently a good place to grab a snack or souvenirs. While we had wandered into Hauslach on a whim, we discovered that Haslach was 5 minutes further down the road. It has a lovely website where you can find other popular attractions… like the Capuchin Monastery, a Silver Mine to explore, fun city tours, and places to eat or stay in the Kinzigtal area! The Kobisenmühle a functioning 400 year old mill and Heimatmuseum a small 1803 farm house is only open certain times (mostly a Sunday) each month unless you make arrangements for a special tour! The Technik Museum was the other place we wanted to check out in town! From car to industrial machines, there is a little something for everyone… or so a brochure led us to believe. We will have to visit again to find out! It’s only open Thursday evenings unless you arrange a group tour of 15+, so plan accordingly! When we started this trip we thought we were going to see all of the Black Forest. It turns out we only saw what the Lower-Middle Black Forest had to offer! Not to mention all the festivals that happen here… How can any one person experience it all? Which is why I have taken the time to collect what other bloggers have shared about their experiences. See what other travelers have to say about their visit! 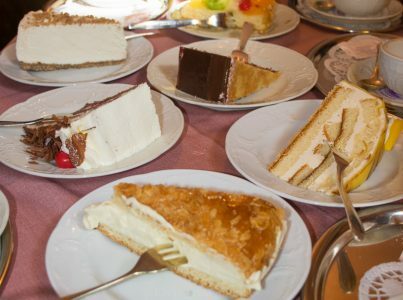 Amanda blogs at Discover Deutschland and in her Castles, Cuckoo Clocks, Cake and Cascading Waterfalls post she gives her personal recommendations for traveling couples! 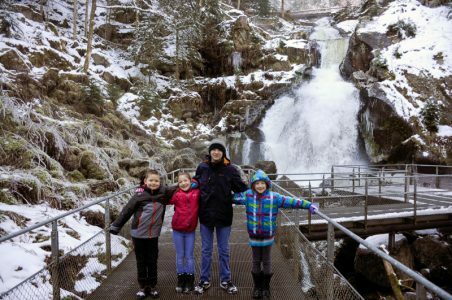 Lindsay at I’m the Momster offers an insight to traveling with kids and what a standard room or apartment looks like in the Black Forest with Family Size Matters! Teanna over at Sidles’ Adventures can you give the ins and outs on staying in the heart of Triberg and what kind of cuckoo clocks are available! and finally Simone is a local tour guide who offers to take the stress out of your trip! 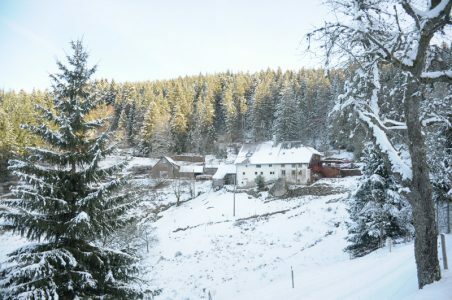 On her Black Forest Tours blog you will find that she knows the area intimately. From hikes to city walks, she even provides you with a self guided tour option! Well I knew my heart yearned for the beautiful Black Forest, so driving away made me sad. There is of course only one cure… to make plans to hastily return. I look forward to our next adventure! Did you like this post? Raise your glass and let me know what you think is the best part of the Black Forest!